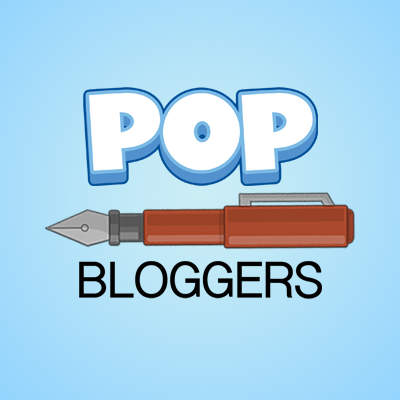 Welcome to the “What’s Poppin’?” page, where you can talk about anything besides Poptropica! You can talk about your favorite animal, movie, show, etc. We will be featuring games similar to Poptropica that you can play, and we will feature YouTube channels, too. All kid-friendly suggestions are appreciated! lock, there IS a store, and you can talk to the people and toys in the house, but it’s the game-made characters, not real people. Contrast: You can’t talk to REAL people, it does have an ending, it’s on a console, and it is a robot so you do have limited battery life until you beat the whole game. How is Club Penguin like Poptropica, you ask? Well you get to chat and play with other penguins, you can customize your penguin, you can do missions if you get into this spy agency that defends from an evil polar bear and his crab, you get a friend list, and more! You can even get membership, which allows you to buy more things for your penguin and play more games! Here are the things that are different: You have a home, there are other penguins around wherever you are (you don’t need a multi-player room), you get to choose a server (each server has the same landscape, but some have more penguins in them then others), and you can see if your friend is online with you! It’s a fun game for boys, girls, and lots of Poptropica fans already play it! Similar: You can interact with people, explore quests, play mini games, and add friends. Different: It has an option for real chatting, the game isn’t only made of quests (just in a few places), the players are a little fuller, and you can get pets, badges, stickers, and give stickers to your friends. Instead of promo codes, they are called Secret Codes. Secret Codes: DREAMLIMO, DREAMDRAGON, BIGBLUE, PBSAUSTIN, DREAMPUPPY, WHYYSTEAK, etc. You complete stuff, there are 4 sections. In each section, there are 5 quests. When you are done with all of them, you freely explore. The sections include Grand Glades, The Deep, Bug Garden, and Mount Snow. Instead of customizing instantly, you go to a Parts place, and you can change your look there. There is also a game place, where you play games from PBS Kids. You collect stuff and you use them to create game powers, karts, wheels, stickers, and abilities like Dolphin, Parachute, Tree Frog, etc. Another game slightly similar to Poptropica is ROBLOX, in the way that you can customize your Robloxian, play many different games, and there’s technically endless possibilities. It requires download, but no worries for parents: it’s virus free. I suggest it to absolutely EVERYONE. How is Wizard101 like Poptropica? It is a safe game for kids to play (as well as adults! ), you get to complete quests and adventures, you get to chat with other players, and you get to battle other players! Here is how it’s different: You are a wizard to help defeat an evil wizard and save the world. You can have spell battles against enemies or friends. I have played this before and got addicted to it. Play now if you want an upgrade to gaming! Even some Poptropica creators have left. With games like fortnite coming in, it seems like everyone has forgotten the OG poptropica. I will continue to love it for eternity tho. I was in school today morning and asked one of the kids if they wanted to play Poptropica with me, but they just wanted to see the KSI vs Logan Paul bids on YouTube and that just saddened me. It is fun to play the common room battles. That’s just my passion and love for the game. I have been playing it since class 5 I guess. Let’s see. Another game slightly similar to Poptropica is ROBLOX, in the way that you can customize your Robloxian, play many different games, and there’s technically endless possibilities. It requires download, but no worries for parents: it’s virus free. I suggest it to absolutely EVERYONE. Hmm…that’s hard because I usually like individual singers more than bands, but I like Three Days Grace, In This Moment, etc (many rock bands). SW, what are your hobbies? Well, besides blogging, I like drawing, playing video games, and playing with my cats. Ooh, that’s a cool one! Mine usually aren’t that interesting. I found a blank one once, that same time my married, straight mom got one about her wife! What are your top 3 favorite scents? Even though it’s not good for you, I do love the smell of gas and Sharpies. Hmm…I like the smell after it rains, too. Hmm… I’m vegetarian, and some vegetarian burgers can be really, really good. I also love bean burritos with white cheese dip. There is a game called Kart Kingdom on PBS Kids. It is similar to Poptropica. Instead of promo codes, they are called Secret Codes. You complete stuff, there is 4 sections. In each section, there is 5 quests. When you are done with all, you freely explore. Sections: Grand Glades, The Deep, Bug Garden, Mount Snow. Instead of customizing instantly, you go to a Parts place. You change your look there. There is a game place. You play games from PBS Kids. You collect stuff, you use them to create game powers, karts, wheels, stickers, and abilities like Dolphin, Parachute, Tree Frog, etc. Secret Codes: DREAMLIMO, DREAMDRAGON, BIGBLUE, PBSAUSTIN, DREAMPUPPY, WHYYSTEAK, etc. Oh, that’s really cool! Do you want me to add it to the page? It’s Perfect Dolphin. I just wanted to drop by and say hi, and that I’m sorry for leaving for so long. 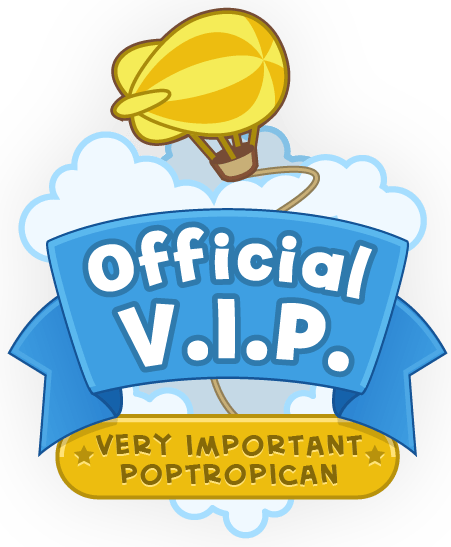 Unfortunately, I can’t play Poptropica or post on the blog as often as before because I am in 4rth grade, and I have a lot of homework sometimes. I’ve changed my name a thousand times since we last chatted, but it’s CS. How did Harry Potter get down the hill?